V Box satellite dish posioner, Primesat PR-1000 V Box, Converts diseqc 1.2 to 4-wire 36V dish positioning. V Box Mk2 with handset. V Box 3. 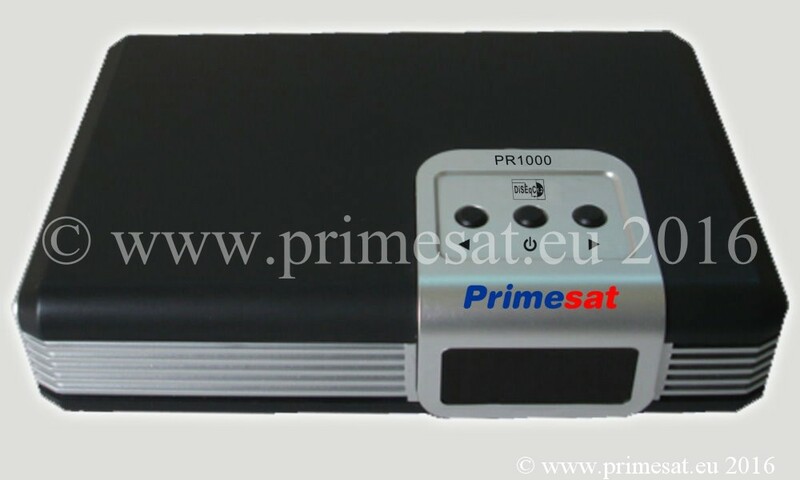 Primesat PR-1000 V Box with handset. Convert DISEqC to 36 volt positioning for larger dishes. Dish positioner. Sleek retro design. 99 programmable memories. East operation and quick installation. Short circuit and overload protection. Anti-noise circuit to avoid miscounting. Ideal for DiSEqC 1.2 compatible receivers. Re-synchronize function. Fully automatic or stand0alson using remote control included. 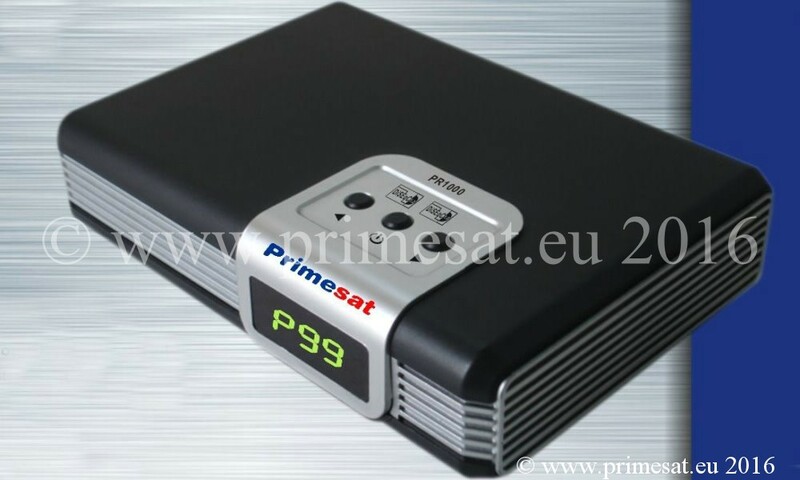 Primesat V Box with handset - 99 memories, 3 digit LED display. Use automatically without handset or with handset. The V Box converts DISEqC 1.2 to 36 volt positioning for larger dishes. A V Box converts the DISEqC commands of modern digital receivers to 36 volt positioning for larger dishes using 36 volt motors. The Primesat V Box has 99 satellite positions and a 3 digit display. A V Box also comes with a handset for manual use and sometimes the handset may be needed to do a reset (even in automatic use). This V Box handset has a proper reset button. Many V Boxes do not have a reset button, or if they do it is a hole needing a pin, A button is better. Remember ... DISEqC commands on an 13/18V LNB cable only provide limited voltage and up to about 300mA. That is only 0.3 of an amp. A V Box converts this to 36V and about 2 to 3 amps for larger dishes using 36 volt motors. Typically 1.2m dishes and larger use 36 volt motors. Use the fully automatic option. Just select the channel on your DISEqC receiver and your 36 volt motor / dish will move to the correct satellite and channel. That means do not use the V Box handset (manual use only) use the receivers handset with the V Box in automatic mode. The LNB and control cable connects to the V Box. A short "fly lead" needs to go from the V Box to the modern receiver, then everything is controlled by the receiver's handset automatically. Can also be used as a stand-alone positioner as a handset is included. (Again remember ... no need to use the handset in automatic mode.) 4 core motor control cable is available from our cable page. To connect to a V Box, the 4 motor wires connect to the back of the V Box. I.e. the two motor wires and the two sensor wires. The LNB also connects to the V Box. A short F connector "fly lead" links from the V Box to the LNB input of the satellite receiver.